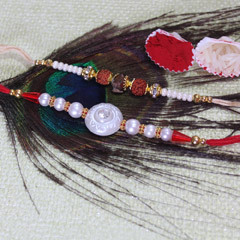 Elegantly Beautiful! 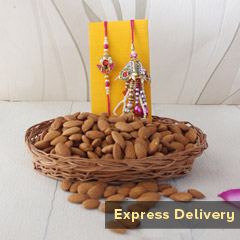 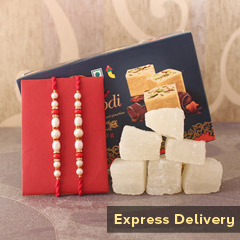 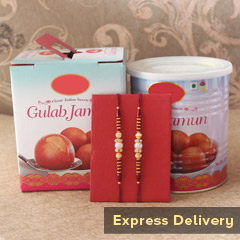 The Rakhis of this set are sheer beauty. 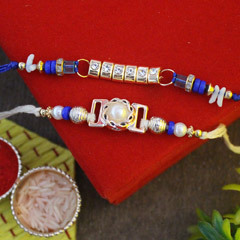 Thus, to embellish wrists of both your brothers, you can’t go wrong with this Rakhi choice. 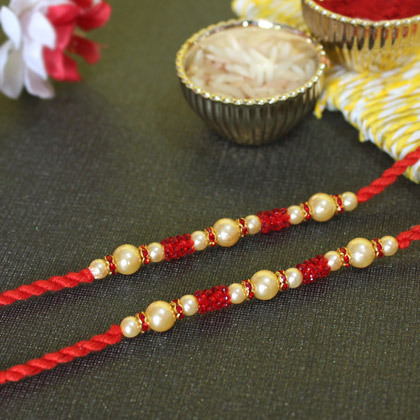 The beautiful red beads and stones with pearl sequencing is giving this Rakhis great elegance to accentuate wrist of brothers and strengthening the affectionate bond of love among brothers and sisters.